Il Best Western Endeavour Motel è situato nel centro di East Maitland. L'hotel è vicino alle principali attrazioni turistiche. Approfittate tutto l'anno del miglior prezzo garantito e di offerte esclusive. 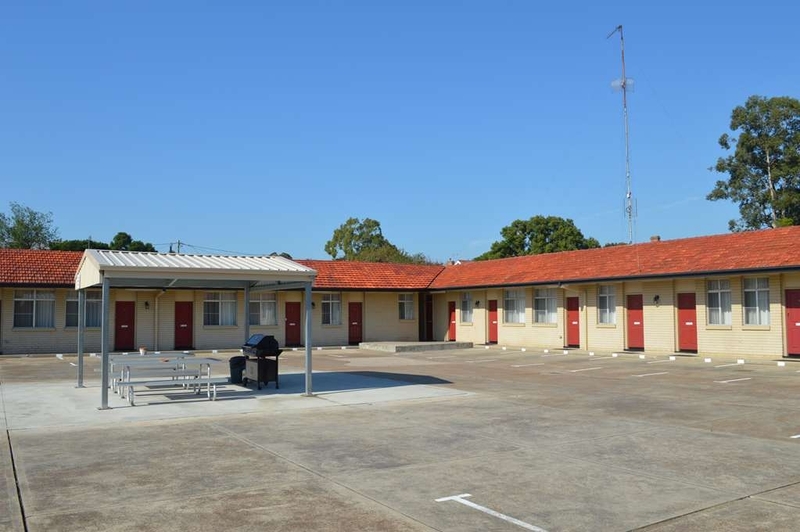 Vieni a soggiornare in questo motel di Maitland, Lower Hunter Valley, situato in comoda posizione sull'autostrada New England, che offre facile accesso ai vigneti di Hunter Valley e alla storica città di Morpeth. 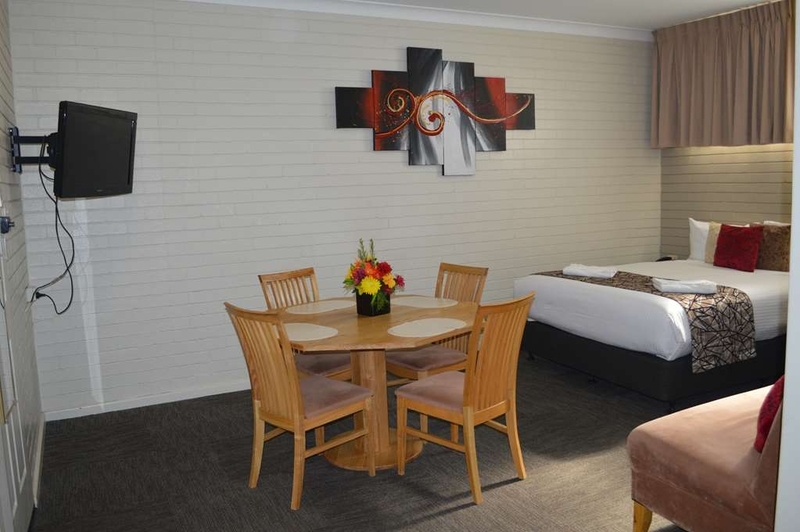 Benvenuto al Best Western® Endeavour Motel. Maitland è punteggiata di edifici di importanza storica e il motel è raggiungibile a piedi dall'antica prigione cittadina. Le visite alla prigione si effettuano a orari regolari. Molte altre attrazioni si trovano nelle vicinanze: Nelson Bay, Barrington Tops e Newcastle, dove troverai spiagge magnifiche. Il Best Western Endeavour Motel offre camere con comodi letti, aria condizionata e TV via cavo. Sono disponibili camere non fumatori e camere con idromassaggio per due e angolo cottura. 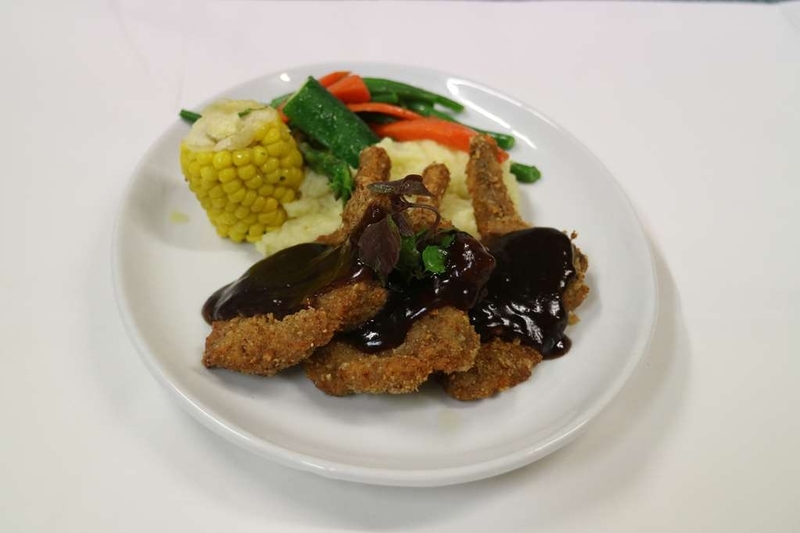 Gli altri comfort di questo motel di Maitland includono ristorante e bar aperti sette sere su sette che propongono un ricco menu à la carte. Gli ospiti aziendali apprezzeranno la convenienza delle strutture per conferenze (in grado di ospitare fino a 50 persone), i servizi fax e fotocopie e l'accesso wireless a banda larga. 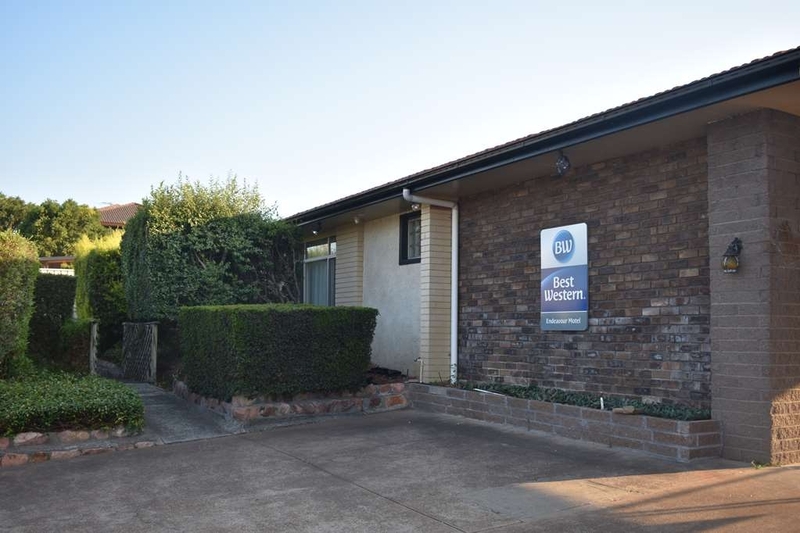 Per un servizio clienti di qualità superiore e una comoda posizione a Maitland, Hunter Valley, prenota oggi stesso e risparmia al Best Western Endeavour Motel! Ti auguriamo un soggiorno gradevole! Joanne, Ray and the crew were amazing with me and my work mates. We felt like family after our stay. Thank you guys! The seafood is amazing and the rooms were comfort. I will definitely be staying with you guys again ?? "Our one night stay was average"
Stayed in the family room no.26 for an overnight stay.The room was located adjacent to the kitchen which was ok until staff arrived for dinner service and breakfast in the morning.The noise from kitchen of plates and pots clanging was loud while trying to rest after long day of driving.We understand that meals need to be prepared and it gets hot in a kitchen but close the back door to minimise the noise. The room was little cramped, but its hard fitting so much furniture into the one room. The bathroom was clean but the fan didn't work,the main bed was positioned close to the window with the outside flouro glowing behind the curtains.Again hard to configure a room with a a double and two singles side by side.The TV reception was grainy on all stations and even Fox but its something that can be fixed.The wifi works. I don't like leaving negative reviews, but I do like to be honest and would expect that the room be checked prior to someone renting a room for the asking price.I am sure that management will now check and fix the room for the next persons stay. 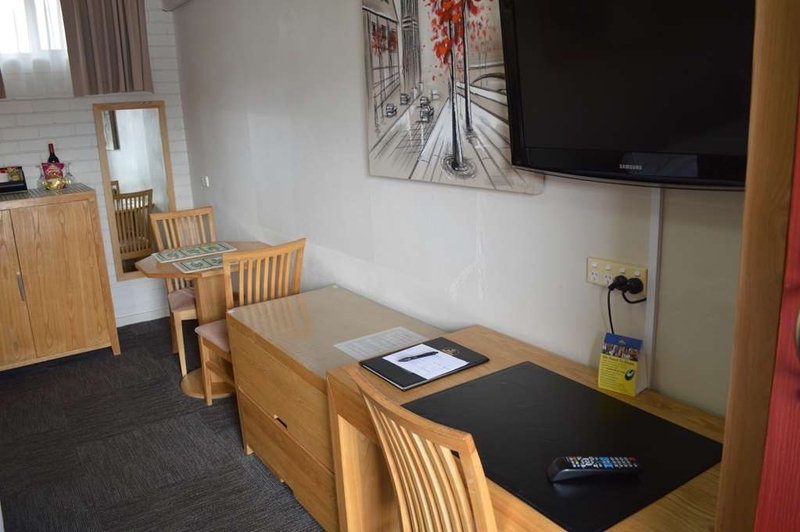 I didn't address this at the time things happened or checkout as I was tired and had a long drive ahead.It's a budget friendly option for a one or two night stay and the staff were very friendly on check in and check out. 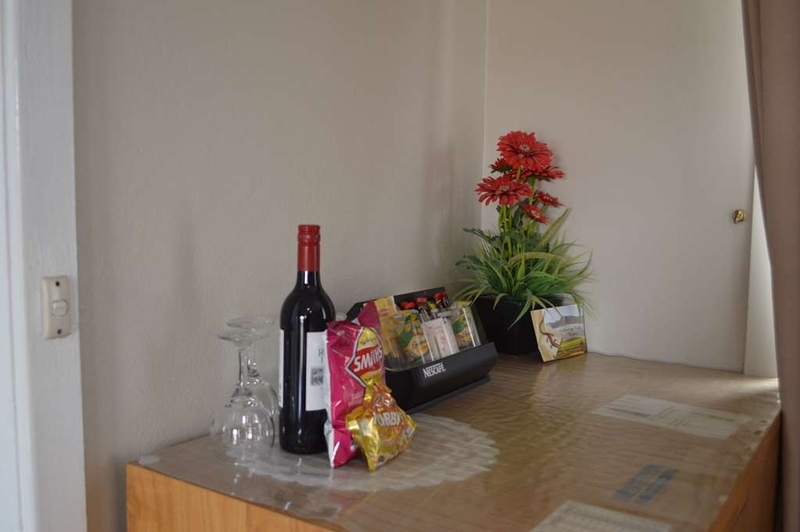 All you need in a basic motel and some extra effort gone in to decor and amenities. Modern bathroom, clean room and comfortable bed. Quiet location but pretty close to main road. Would stay here again. Restaurant has specials -half lobster $28. Booked an executive deluxe (queen plus single) room but after 6 hour drive to arrive on a long weekend was given a house in an adjacent street. Arrived to find it unlocked. It was filthy, old broken furniture, turned on the kitchen light and short circuited the house. Unrenovated, old fittings, no smoke alarm, no one seemed to have checked it at all. Receptionist was lovely and came to verify our concerns. We were refunded but then left to find new accommodation on a booked out long weekend. Gobsmacked to think this could be offered to an adult and child as acceptable and comparable to that shown on the website. "Great Motel for a weekend getaway. " I went to my sisters wedding in Morpeth and needed somewhere to stay obviously. 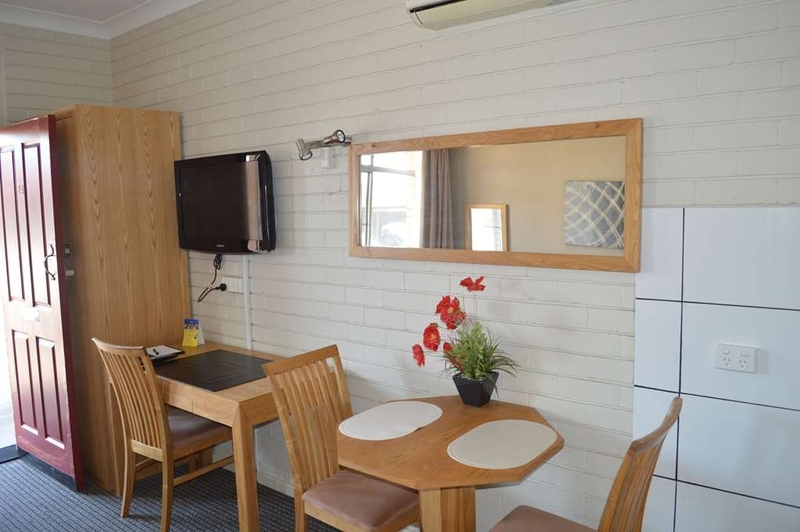 I booked online to stay here at the Best Western Endeavour Motel. The room was tidy, great bed and very clean. The shower amenities were fantastic, they have the large bottles of shampoo, conditioner and body wash mounted to the wall in pump bottles, this is fantastic, I can't stand little cakes of soap and tiny bottles of shampoo that do nothing. The mini bar was stocked; however, my only negative is that the bottle of Tooheys New must have been around for sometime as the label just fell off, like it had been in storage forever, but it still went down beautifully. The TV channels are great, I had it stuck on the movies channel, for when I wasn't photographing weddings. 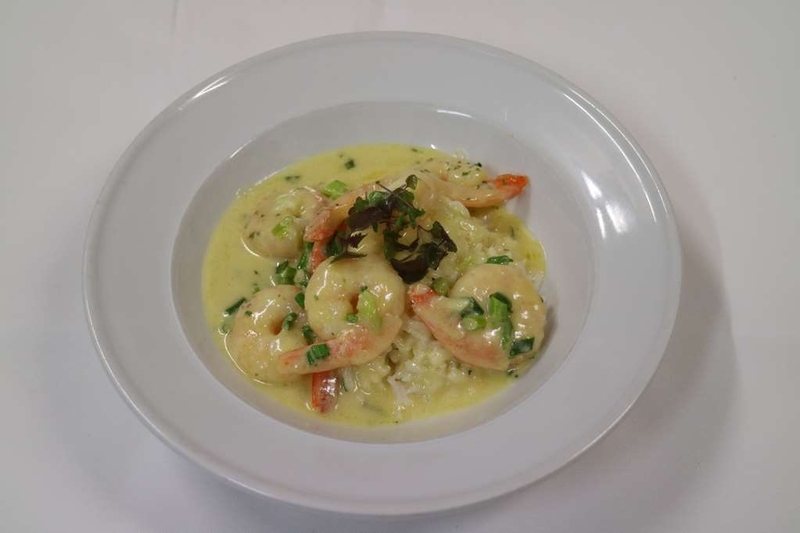 The restaurant is amazing, to the chef, your breakfast is amazing and your seafood is great. I stayed a total of four nights and if I'm back in Maitland again I'll be stopping in here again. "Comfortable, quite and country hospitality"
I stayed 2 nights in the standard hotel rooms and several in the serviced appartments. The hotels rooms were comfortable and deluxe styling. The rooms can be a little awkward with the parking if the hotel is fully booked. In general the rooms are fantastic and have been upgraded to a deluxe level, however there a couple of minor problems due to the updating (renovated bathrooms - bathroom door did not fully open (only to 60-75 degrees) so if you are larger or have mobility issues this may cause so minor inconvenience)... 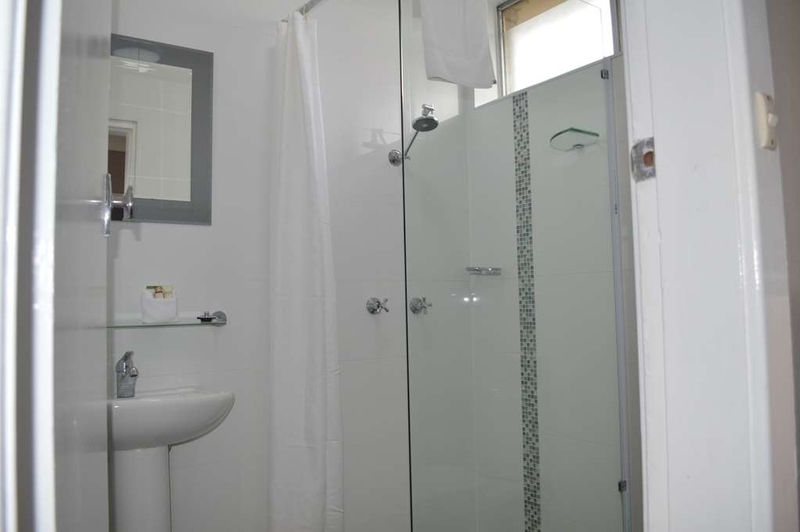 The serviced appartments are clean and comfortable. They have the advantage of having cooking facilities. ?? this was my overnight stay on the way from Canberra to Brisbane. Absolutely perfect. 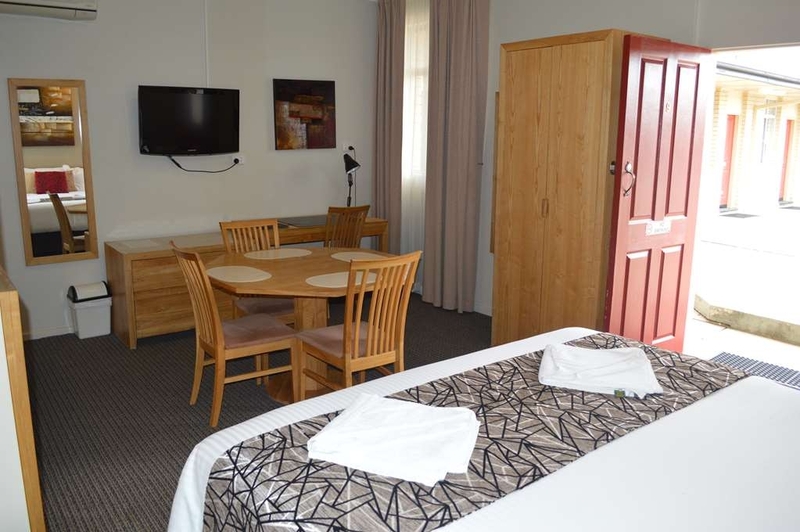 Nice and quiet, clean rooms, pet friendly for my two sausage dogs, meals in the restaurant are fantastic. 5 min walk to local dominos pizza, IGA and the local pub. Totally comfy beds too!! The only issue was the shower head leaked but otherwise it's a hidden gem. Would 100% recommend this hotel. "Overnight stay unplanned due to flight cancellation"
A group of about 25 people had to stay in a motel overnight due to Jetstar cancelling a plane that had been hit by lightning. So that is totally fine, right. Well, the only place they could get us due to the Aust. Day public holiday was this hotel. We arrived at 11pm. Were greeted with a warm and friendly smile. Were all processed so efficiently. And then went to our rooms. I found our room wonderful! Yes, wonderful! 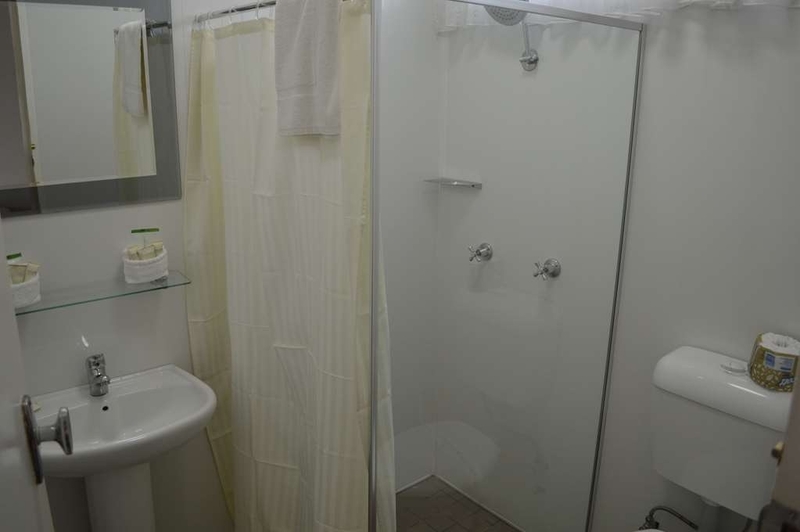 Clean, roomy, nice decor, great shower... I cannot fault it. They even gave us a wake up call at 4.40am to ensure we didn't miss our flight out of Newcastle. We were then greeted warmly again by a staff member when we handed in our keys to board the bus back to the airport. I commend the staff! And thank them greatly for their attentiveness. "On the road - Canberra- Brisbane"
It took us (myself, an adult niece and 13 yr old) son 5 hrs. We had initially booked online and the accommodation that was booked in Newcastle didn't even want to help by leaving a room key accessible for us. So we had to rebooked with Best Western while traveling to Newcastle arrived at 1:20am and a staff drove to the motel to check us in. 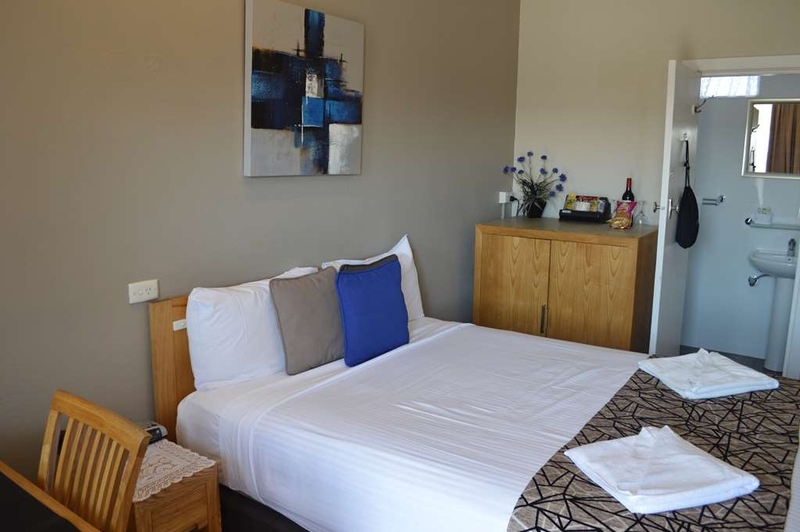 "Awesome place to stay with friendly & helpful staff"
Stayed for 3 nights & what a great place & atmosphere, The room has been freshly renovated. The Restaurant is very accommodating & if you ask for some thing that's not on the menu & is simple to make the team bend over backwards to make it for you. All while you enjoy a cold drink in the restaurant. 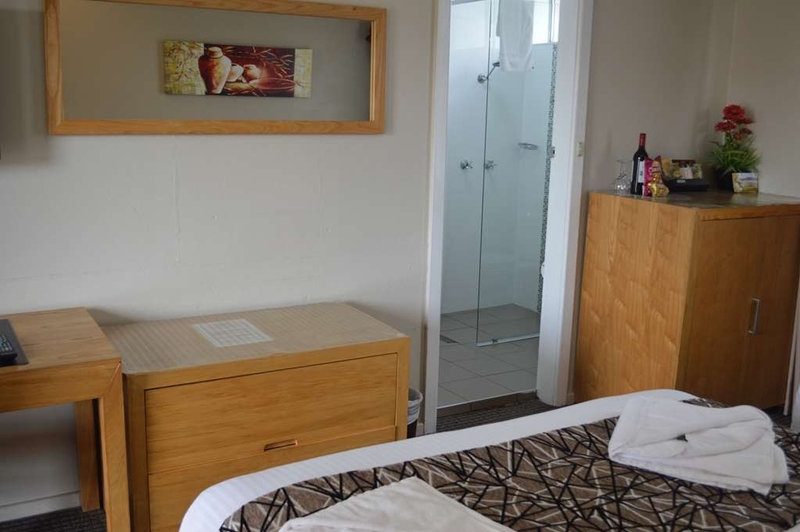 good size rooms, excellent fiitings, everything works, close to shops and food outlets. Close to where i need to work so it fits all the categories. Staff helpful and with the membership to Best Western I'll end up having a free room soon. 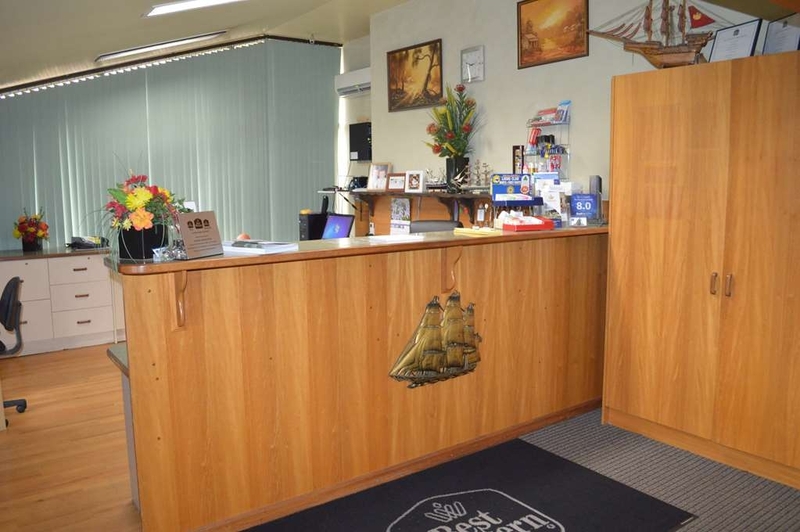 "Happy with Accommodation and Service"
I had an enjoyable stay at Best Western Endeavour. I was provided with a Villa.It included everything that we needed. Clean and comfortable.The lovely lady in the restaurant, also worked the kitchen, was helpful and very friendly, as were reception.I would certainly stay there again. Stayed in the family room. Room was outdated but clean and comfortable. A little cramped, but hard fitting so much into the one room. Bathroom was clean. I think some of the photos on some sights are of the renovated rooms, so keep in mind you don't always get what you see! Fridge was terribly noisy and did keep us awake, and as the bed was positioned under the windows, the light streams in very early onto your face. I don't like leaving negative reviews, but I do like to be honest. 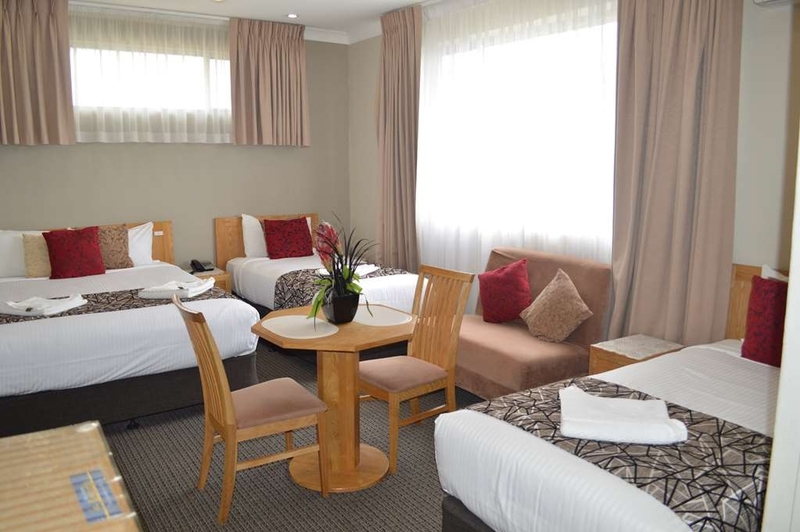 It's a good, budget friendly option for a one or two night stay. Staff were very friendly on check in and check out. "When LESS is not Best." The motel is located on the highway and can be a little noisy throughout the night. Unfortunately, I heard most of the traffic, as I spent the night sleeping on the floor because it was a better alternative than trying to share the terrible bed! (Room 2) The WiFi is spotty and frequently dropped out. The fan in the bathroom was so loud that I was worried it would wake up the other guests in the motel when in use. The one saving grace was that the food and service in the restaurant which was lovely. Overall, Best Western you need to overall this room! 6pm on a Saturday night and accomodation in Maitland was scarce. BW Endeavour had a 'duplex' next to the motel, 3 bedrooms for $320. I assumed at that price it would be quite nice. I was wrong. It was aged, outdated, overly basic and for $320 not what I expected. Vertical blinds were missing slats, main bedroom only had one bedside table, the one bathroom was under whelming to say the least. Nothing nice at all, it was sparse and everything was cheap looking. One mirror in the bathroom, no where else, so for a family getting ready that would be nice. The lounge awful and hard, and so far from where the tv sat high on a wall. The noise from the highway is so loud and goes all night, they need curtains to block this out. They are ripping people off, but it seems they can due to high demand for accommodation in the area. 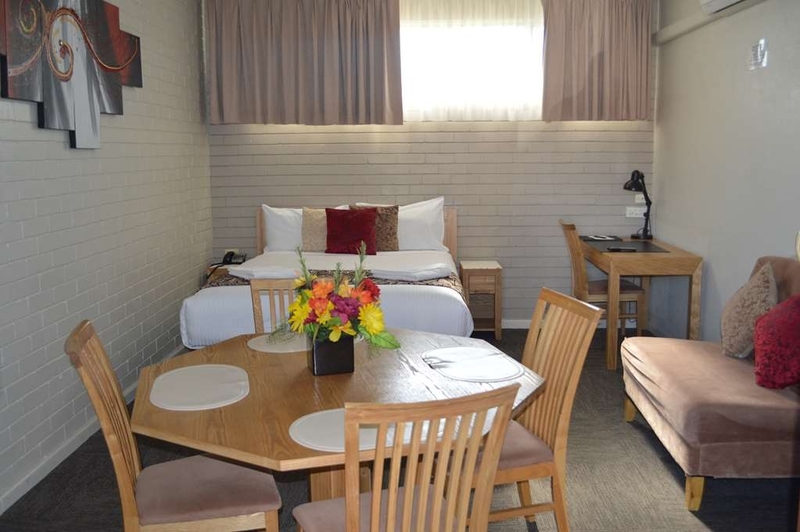 "Comfortable room for a stop-over"
We stopped in East Maitland on our recent road trip out to Broken Hill. Our room was comfortable and quiet (it was away from the main road). It had a table with two chairs which is great for eating meals. Checkin and out was efficient. Excellent stopover spot on ourway back to Melbourne from the Sunshine Coast. Friendlyservice. Nice dining room. Easy exit to the M1 road. Not too noisy. Good accommodation for a one night stop on the road. I was expecting a higher standard from Best Western and for the price I paid. The bed was too high, the small 2-seater sofa uncomfortable and facing the wrong way. Wifi did work well, and service was friendly. I was a bit shocked to come back for a nap on Saturday afternoon, to find noisy renovating happening in the next room, but they were happy to stop. Hopefully renovation will provide bigger showers! Had not been here for 25 years . I forgot just what a lovely place to go for a feed . Seen a sign out the front best lamb shanks . I literally had hit the brakes that hard to stop and have a feed . This was a spur of the moment decision as we were on the road all day . All I can say is they were the best shanks I have ever eaten . Kids shared a lovely seafood plate and my friends had shanks and a steak cooked to perfection . What I loved was going in here and getting treated with good old fashion service and there attention to detail was really good . Kids loved looking at the old ship and the dish tank . I loved the old bar . We arrived there about 7 pm on a Saturday night and restaurant was really full and me being a sticky beek I was looking at other people's meals and said when we left we will be back again . Visited as a local in the area,upon our arrival we were greeted with friendly welcoming staff.We were very surprised at the ambiance of the restaurant and bar.Our experience continued to be of a high standard not being rushed to order even though it was a busy saturday night.I ordered the lamb shanks which where amazing well cooked melt in your mouth.My partner ordered the scotch fillet cooked perfectly to her liking.Needless to say we would definitely recommend this establishment to anyone wanting a great night out with value for money.We will return again soon for sure. We booked this motel at short notice to attend a funeral and the staff bent over backwards to help us. 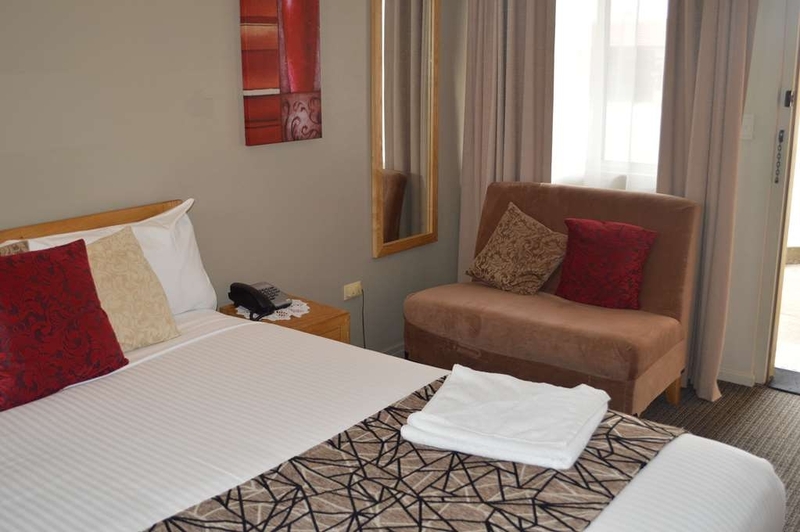 The room was spacious, clean, tidy and the bed was oh so comfortable which was heaven sent after the long drive from Queensland. "Road noise and poorly maintained "
The room is very small. TV remote does not work. Aircon also not working. Towel rack busted in bathroom and missing but the worst thing is the road noise very bad the rooms must have no wall insulation. Positives are the bed is amazingly comfy and the room is very clean. Booked in to attend a family birthday. early check in no problem. Rooms clean and comfortable. reasonably priced, did not attend restaurant however locals speak highly of it. A great stepping off point for other attractions in the area. No cooking facility in our room but there is a nice Bar B Q area. Would definitely stay again. "Great food and excellent service"
We went to the Endevour for a family dinner for 13 of us - including 5 children under 10 years old. Joanne and her staff could not have been more accommodating, providing the little ones with activity bags and toys to play with while we waited for our meals. We were certainly not the quietest group but nothing was a bother and the meals were outstanding. Highly recommend this venue for locals (like us) and travellers alike. Good honest food done well. Awesome, caring people at this quaint, well-maintained hotel. Ray (the Manager) and his staff are terrific. The hotel is always clean and their service is consistently great! I'm here several times a year and won't stay anywhere else. 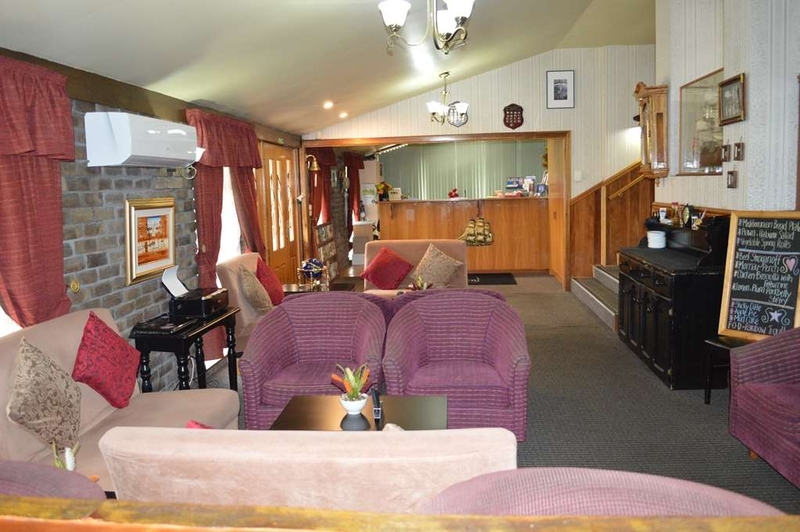 Stayed at the Best Western Endeavour in a 2 bedroom apartment with friends for a concert at Hope Estate. 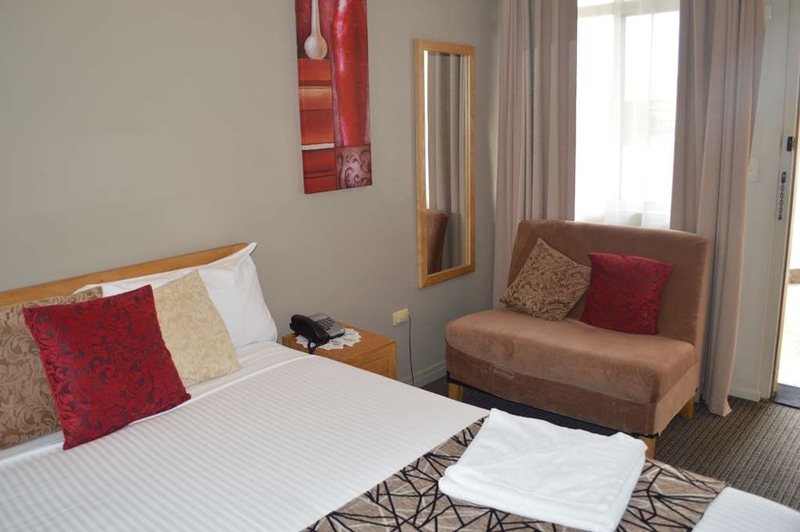 Comfortable beds, spotlessly clean and very spacious. Nice staff and well-priced. Would definitely stay here again. Not many hotels feel like this one. I have stayed here on and off for about the last 10 years or so now, Has always been a great place , great reputation, and really something the " best western" brand should be proud of...the owner loves a Red with his guests, and a laugh, in the restaurant's bar, and from the get-go your are in a different relaxed world..I have spend hundreds a night to stay ALL around Australia, but love when I have the local stuff to do and stay at this place...rooms are a little dated, but just add to the character and ..with a big bottle of welcoming RED in my room, and oysters on the menu in the restaurant ....well..what could B better?. "Rooms / environment that surrounds them"
Rooms are in immaculate condition as far as cleanliness and hygienic purposes are concerned. I feel some rooms are slightly outdated. They seem to lack the modern vibe. Afew slight adjustments to the rooms. And a little more activity in the court yard (as its extremely bare) this is a little too confronting. (For me) I'm sure others may disagree. Cleaners are very friendly always willing to assist with enquiries and help where they can. on the main road into maitland with a hot, dry central courtyard. built a long time ago but the rooms have been renovated well. the bed was terrific but bathrooms are a little old fashioned. however, the water ran hot and well. the staff were all great. 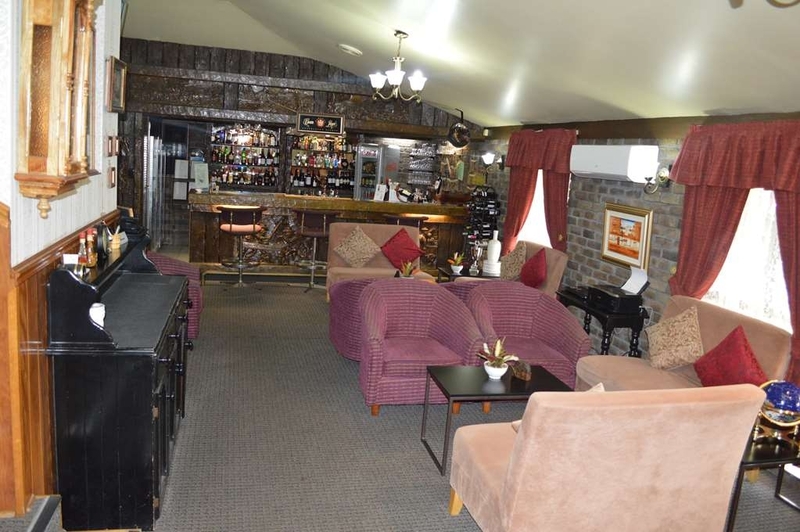 quaint bar area too. Overall poorly laid out family room, too much furniture in such a small room. Whoever designed the bathroom should be made to use the toilet, as it was awkward for even a small child to use as it was very tightly squeezed in between a wall and a glass shower screen with no room to spare! Room service was prompt but the food was bland and certainly not worth the asking price! Unsure if staff can be trusted as housekeeping don't immediately hand in items left behind by clients until there is a threat of calling police! Please check you have all your belongings on departure! Best food ever. The waitress was very polite. A welcoming reception. Super clean room nice hot shower and the bed is very comfortable. You can't beat good old fashioned service, nothing was a problem. Would definately stay again. A one night stay that turned into 2 while away for work. Very pleasant welcome from the reception staff and my waitress for both evenings was attentive and friendly. 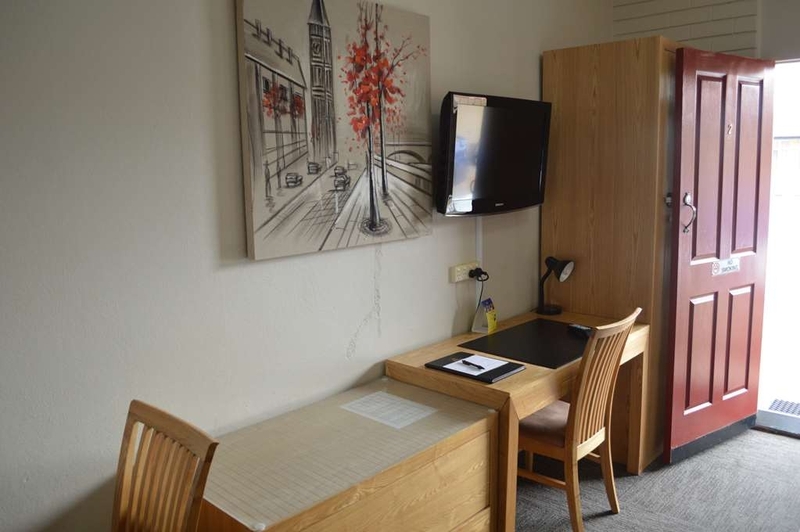 The rooms are compact, but include a work station, 2 place dining setting and a lounge. Wifi was free and was a strong service. No bath (one of my luxuries) however the bathroom was clean and fresh and the shower had great pressure. I dined at the restaurant both evenings. I would have liked additional meal options to support healthy weight-loss, the meals I chose were very enjoyable - baked fish the first night and steak the second. 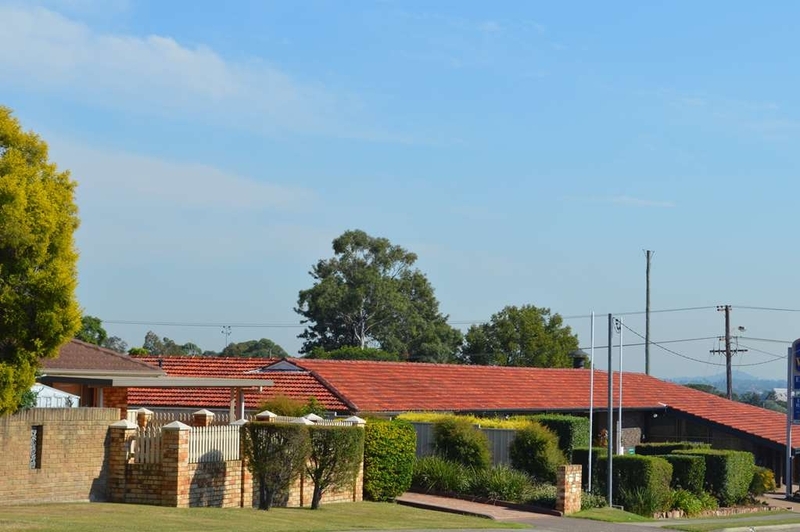 Really convenient for everything you want to do in Maitland. While you think it looks like a pretty regular motel, the rooms are surprisingly up-to-date and comfortable. From here you can walk to East Maitland restaurants and historic sites. From the time of our checkin, through our breakfast and checkout the service at this Motel was great - our room was delightful; it was comfortable and spacious and we really enjoyed our stay. We would definately recommend this venue. 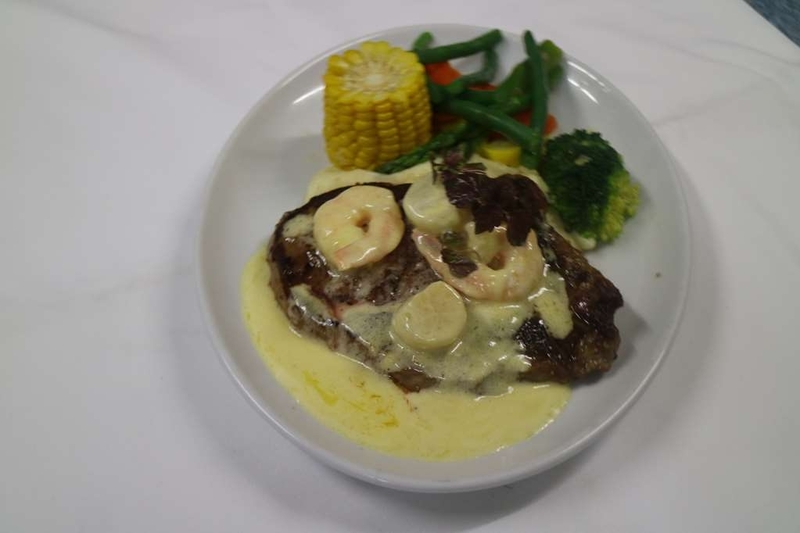 Friendly , helpful staff , clean comfortable rooms - however the big plus is the restaurant where you can order a travellers special menu with many options or stand out restaurant meals that are very reasonably priced. "Had a one night stay with a family of four. " 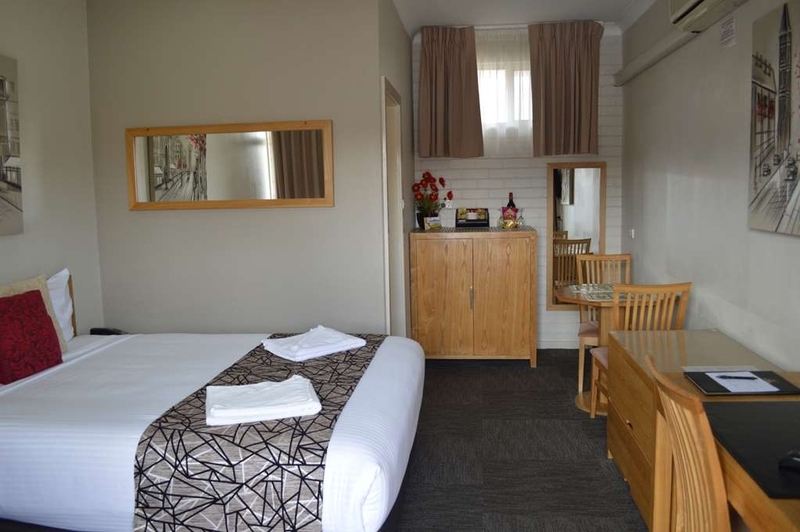 Although the outside looks out dated the room had been renovated and we found that it was a pleasant stay. The beds where comfortable and we all had a good nights sleep. It was a cold night but the room was able to contain the heat for us to be comfortable. The only con is the parking as it was a full house we had a little trouble finding a spot. The staff where very helpful and we had a wonderful stay. "Great accomodation and fantastic reastaraunt"
The accomodation is always great. The reception when you first arrive is warm and welcoming. The quality of food in the restaurant is amazing!!! You will not be disappointed. I travelled on business, but would bring my family here. We stayed in the hotel's corporate duplex (next door) and were shocked with the lack of maintenance. Service was very poor too. 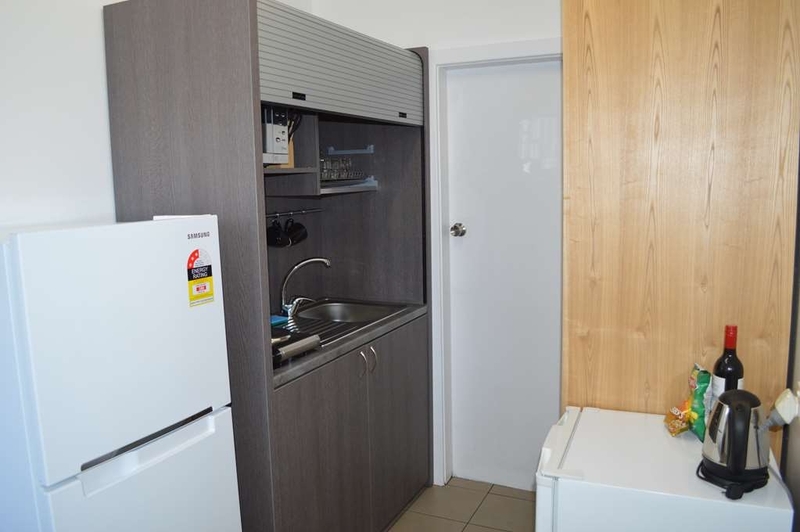 For starters, we specifically booked the rear duplex based on some management photos provided on trip advisor and when we arrived we found out that the unit was already occupied by another guest. A less than satisfactory apology without actually using the word sorry was offered by Ray, the manager, along with no offer of any form of consolation. We were offered the front unit, closest to the highway and in a state of disrepair! The pictures below speak for themselves. Missing vertical blinds offering no privacy in the bedroom, a missing light globe in the lamp, ceiling fans inoperable, security door with no key provided, crockery and cutlery not cleaned properly by previous guests and half of the blinds in the living areas not able to be opened to let any light in. Overall a terrible stay and highly overpriced at $295 per night (although we were offered a very small dicount after complaining), still not good enough. Will never return! 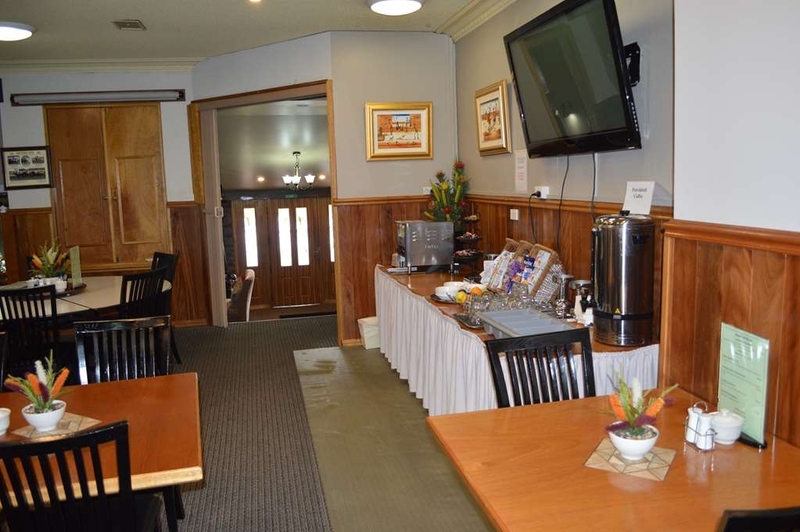 "Stayed on 10 + 11 March 2016"
The motel and the staff are to be commended at this motel. The chef of the restaurant leaves all the contestants of Master Chefs and My Kitchen Rules and others. The food was excellent and well presented. The waitress enjoyed her work and was very pleasant to everyone. The condition of the unit was spotless. The bed comfortable. In essence, my stay was enjoyable and faultless. 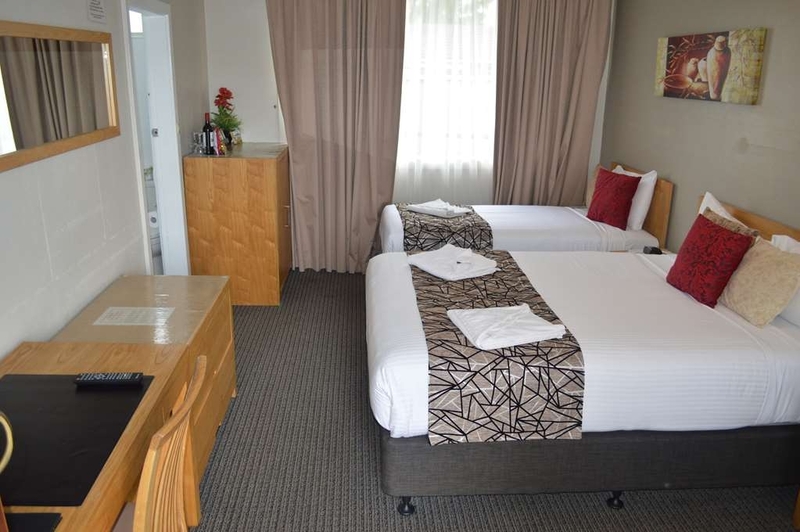 We stayed overnight at this hotel with our two dogs while driving from Melbourne to Brisbane and the place is definitely not worth the money. It is a self contained accommodation. It wasn't terribly clean. In fact, the utensils were disgusting. There were ants in the kitchen. And while it advertised free wifi, it didn't work! 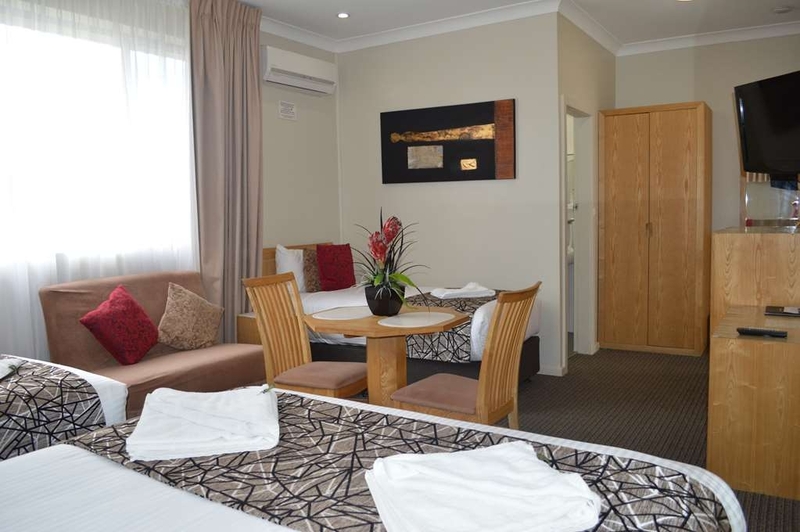 We have stayed here a couple of times now and on both occasions have found the rooms to be very clean and comfortable. Don't be fooled by the outdated exterior of this place, as the rooms are a good size boosting new carpet, new curtains and a new bathroom. Furniture and decor are modern. Everything you need is provided. The staff are great, very accommodating and friendly. There is a restaurant onsite that we didn't eat at, seemed popular. They can also deliver meals to your room if requested. The pool area has been converted to a bbq area. "Place to rest your head"
OK facilities, the motel is a little tired but the staff are very friendly and helpful. It was perfect for our quick trip. We had the family room and although it was a little cramped you can see that they have tried to make the space accommodating. In room bar fridge. We stayed there whilst visiting a friend. The staff were friendly and helpful. The room was clean and spacious. Beds were comfortable and we had a good sleep. The bar and restaurant was closed due to a staff Xmas party. Very close to the main shopping centre. 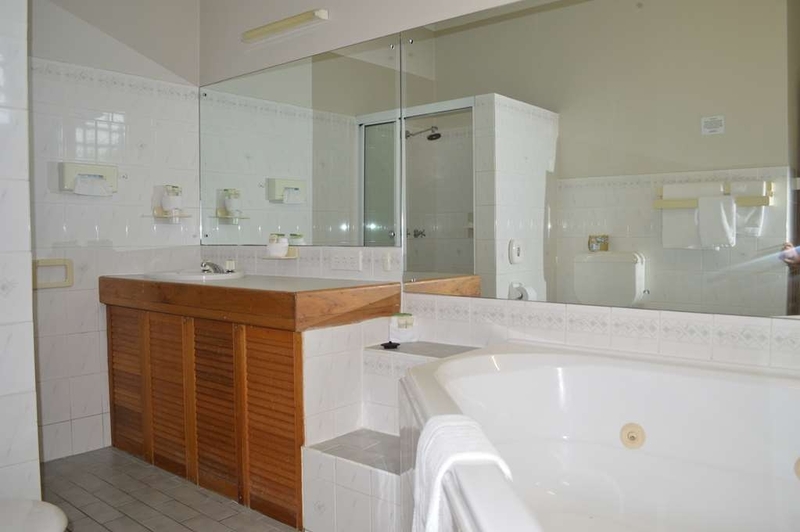 Handy place to stay as it becomes an easy drive to the Hunter valley ,Morpeth , the Pacific Highway , Newcastle , Newcastle Airport or a drive up the New England Highway or across to western NSW. The Restaurant is quite good too. 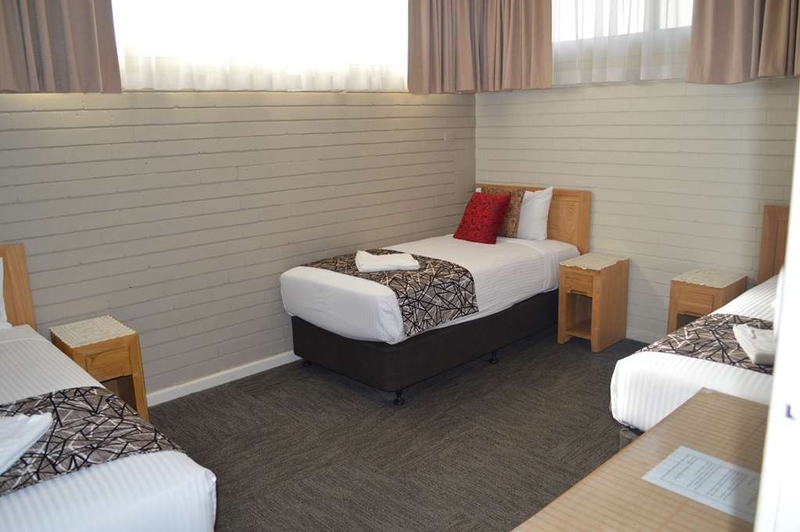 Stayed overnight on the way to Brisbane from Canberra, room was clean, nice and and super comfy!!! Staff were great and accommodating with our pups! Late check in was handy!! Will be out new hotel for this drive!!! Highly recommended for your get away!!! Nice clean room with good facilities for a weekend away. Room was a bit on the small side but OK for a couple of nights. 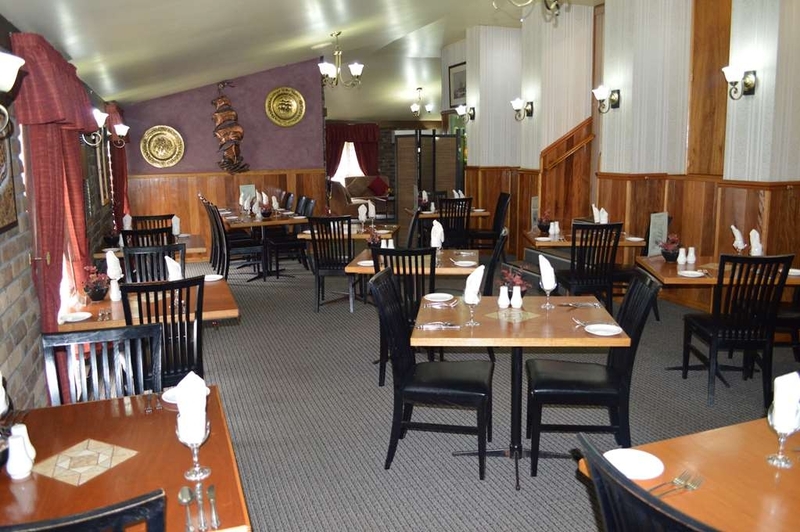 Close to shopping, restaurant on site but close to town if you wanted to eat out. Good location for the basketball stadium which was the main reason for our trip. Friendly staff. Would stay again! I was a bit nervous staying on a busy road however the room was quiet and comfortable (although dated), the staff friendly and attentive but the stand out was the quality of the restaurant food. If passing through I would go there again just for a meal. Would I stay there again - yes. "I was in East maitland for a 2 day training event." 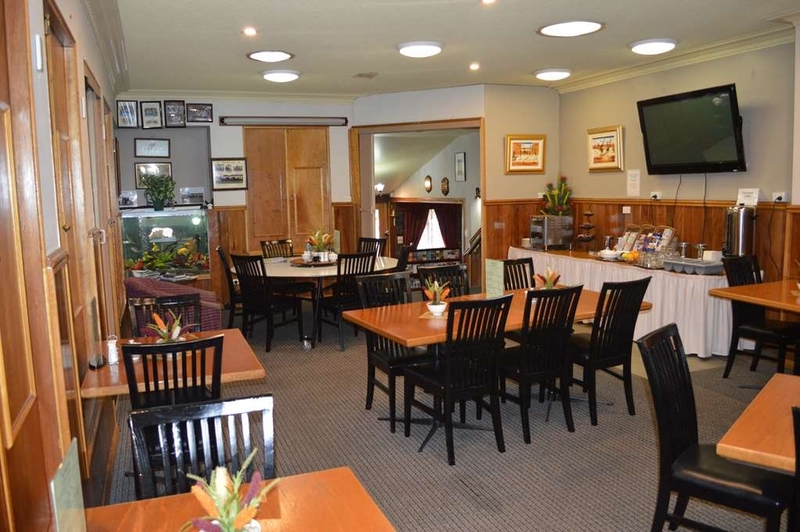 I was in East Maitland for a 2 day training event and I was put up in the Endeavour Motel with a bunch of my colleagues. I have to say that I was very pleased with the motel, and the staff were excellent. We ate each of the 2 nights in the restaurant within the motel. The food was delicious and the meal sizes were more than adequate. They were in fact, HUGE! We all ate there and between us all, we tried most meals on the menu, and not one meal was less than delicious.